"We must achieve financial security for all. It's on us, and the time is now." J oseph N. Sanberg is a progressive entrepreneur who is working through both the public and private sectors to make people’s lives better. Joe believes that business can be a force for good, and that entrepreneurs have an important role to play in improving public policy and encouraging public service. 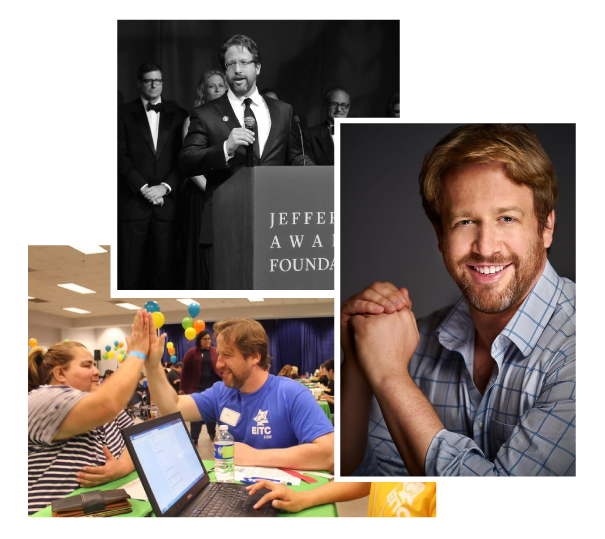 He founded the Golden State Opportunity Foundation to expand financial security to the millions of Californians who work hard yet experience constant financial stress. Joe has been the leading advocate for the state’s new earned income tax credit for low-income families. Joe not only lobbied California to pass the credit, but when the state didn't allocate enough money for outreach, Joe created CalEITC4Me to connect California families with $2 billion of state and federal tax refunds. Sign up to join the mission to create financial security for all!